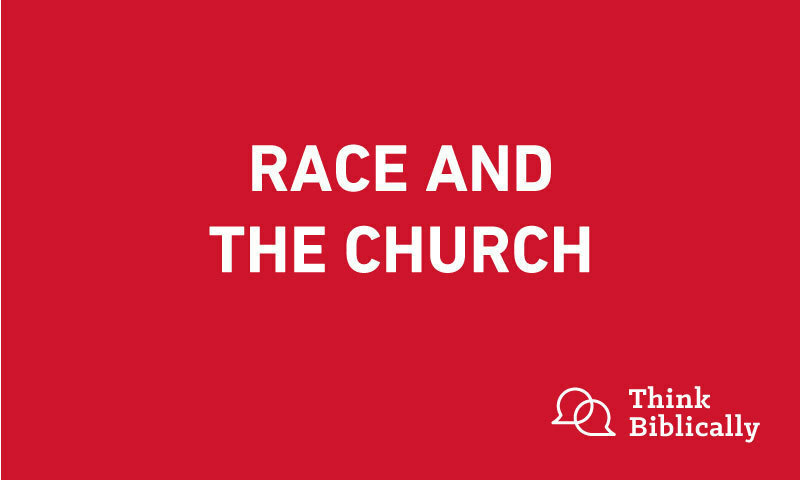 Scott Rae: Welcome to the podcast Think Biblically: Conversations on Faith and Culture. I'm your host, Scott Rae, professor of Christian Ethics at Talbot School of Theology at Biola University. Sean McDowell: And I'm your co-host, Sean McDowell, an author, speaker and Apologetics professor, also here at Biola University. 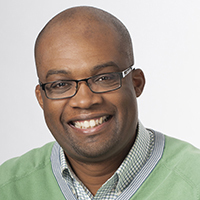 We're here today with pastor Chris Brooks, who's a radio host, seminary dean, community developer, and he pastors the church just outside of Detroit. Joining us for the second part of our conversation. And again, I am phoning in from the car on the way to my son's football game. Scott Rae: Chris, let me ask you, what is your view of the Black Lives Matter movement? Specifically what has it positively contributed and then what concerns you about it? Chris Brooks: Yeah. Black Lives Matter has to be thought of in this way. We have to separate the affirmation or the statement from the organization and its mission. The statement “black lives matter,” the affirmation, I think is right and wise and needs to be said. Here's what the church has to understand, is that we've always been most effective when we've been specific, intentional and particularized. Again, I refer to the pro-life movement in this area. I am passionately pro-life. We have a pregnancy resource center on the campus of our church, in partnership with Care Net. I've evangelized and witnessed and stood outside of abortion clinics. I've been participating in a 40 Days for Life for as long as I can remember. Passionately pro-life. But we will say with specificity that we are protecting and defending the life of the unborn. Very specific, very unashamed. When we say, "Hey all lives matter," what we're basically doing is diminishing the specificity to a group of people who need the affirmation. Why do blacks need the affirmation? It's because we're the only people who were ever brought to this country forcibly that were not seen as fully human. We're the only people who had to fight for our humanity to be codified into official documents in this country. Then you have the 3/5ths compromise, that basically was a way of saying, "Okay, we'll identify some of your humanity, but not all, and the only reason we're doing this is for economic and political purposes." If you remember the Civil Rights movement, one of the major iconic figures that comes out of that is an image of a man carrying kind of a walking billboard that says, "I am a man." This quest for African Americans to justify their humanity is deeply rooted in the origins of our country and it's continued on to current times. And so I think Black Lives Matter has done a good job in highlighting the particularity of needing to affirm that, but I also think what we need to be cautious to recognize they're not just a racial justice movement. They also have many other things that we wouldn't agree with as evangelicals, such as LGBT issues and transgender issues. They're as much a promoter of transgenderism and homosexuality as they are of racial equality, so we need to be cautious about the organization while being very passionate about the affirmation. Scott Rae: Yeah, that's a really helpful nuancing of that. I appreciate those distinctions that you're making. Sean McDowell: Yeah. I'm wondering if you could give us just some thoughts on what our posture can be on this issue as a whole? Because I sense that there's people that there's a real defensiveness that comes to this. There's the fear to speak up that if you ask a question, somebody's gonna call you racist for even asking a question. So sometimes people just stay silent. Give me just some wisdom for just people like myself speaking up on this issue, what our posture can be. And also, we tend to make racial issues us versus them. Should it begin with just each one of us going, "All right. Have I fallen short in this area? Do I need some introspection?" What should our posture be as a whole, just thinking through this personally? Chris Brooks: Yeah, you know, I do a lot of altar calls, Sean, in my ministry, and there's certain sins that I've never gotten a response to. I've never gotten someone to stand up and say, "You know, I'm guilty of classism. Let me come to the altar and repent to that." We're just blind in that area, right? We're blind in the area of greed. None of us really think we're greedy. Some people brought to repent to that. But very rarely do you see someone stand up and say, "You know what, yeah I've got racism issues," right? And I think the number one reason why, Sean, is because we see one side of racism when there's really two sides. There is one side that we all know, and that is sentiment. Right? What my intentions are against you. Right? And if I don't have ill will towards you, if I don't have evil sentiment towards you, I don't want to do you harm, then I'll think, "Well man, I'm not doing anything that's racist because I don't want to harm Sean." Right? But sentiment is only one side of it. The other side of it is structure, structural institutions. In other words, am I unintentionally supporting systems that may be racist in their construct, that I didn't realize. And I think that's where the analysis has to be put in. If I'm profiting from a business that exploits the poor, even if I don't have any ill will towards the poor, even if my sentiment is right, I'm supporting systems and structures that are wrong. So I think we do need to evaluate. But at the end of the day, I think the best way for us to approach this is to listen. Is to simply be able to say, "I want to hear from my brother, from my sister why are they concerned." There is nothing more painful in a relationship that you having someone who loves you dismiss your pain. And when a large segment of our brothers and sisters in Christ are complaining that I'm hurting, to have that dismissed or minimized, it really opens the door for the occult. It opens the door for alternative religious spirituality. In my community, when I do Apologetics, I'm running up against groups that many of your listeners may not know about, such as Hebrew-Israelites or Five Percenters. Some will know about the Nation of Islam, Moorish Science Temple. These are groups that have been prevalent in the black community, and the reason why is because a door has been left wide open, often because of the failure of the church to address black concerns. And so then, here comes these alternative religious groups to say, "Well the church won't address your concerns, your hurts, your suffering, your pain, but we will." And it really fleeces the flock. And so I would just simply say, listen, pray together, and strive towards Christian unity. And I say that to my minority brothers and sisters, as well. Try to engage in a conversation without being accusatory, but yet, tell the truth to have as a goal, Christian unity. Scott Rae: Chris, thanks. I think those are really helpful, practical suggestions to help move the conversation forward. Let me ask you about another concept. How would you assess the notion of white privilege? In some discussions of race, it seems like it's almost axiomatic, in other discussions of race it seems like the idea's nonexistent. Help us assess that notion. Chris Brooks: Yeah, and these terms have become so inflammatory. I think that if we have more time, I would talk about the history of critical race theory, which is very Marxist in nature, very dangerous, and we need to be aware of that. And some of these concepts have their roots in that. But let me just say in a very practical way, what white privilege is not saying. What it is not saying is that, hey all whites have been born with a silver spoon in their mouth. That all whites have been rich and wealthy and none of them have had to suffer. I think we've got a lot of people who are listening to this right now, they grew up in poor rural communities. A lot had to scrap for everything they got. Nothing was given to them. So Sean, I know the testimony of your dad real personally. I know his challenges he faced, so I can hear a lot of white people saying, "I didn't have privilege. It was the opposite of privilege." Right? What white privilege is basically saying is that historically in this country, it has been a benefit to be white, or put a different way, it's been better and more advantageous to be white than it has been to be black. Now, there's been improvements in those areas. There's been things that have been done to try to rectify that. But historically, it's been easier to buy a home, to get a job, to get a loan for a business if you were white than it was if you were black. And that's just been the case. And so we have to acknowledge that, and we have to also acknowledge that there are systems in banking, in education, in housing that were set up to privilege whites over blacks in this country. Here's the thing, Scott and Sean, wherever we've acknowledged that disparity and we've addressed it, we've improved it, we've rectified it, we've done well. But when we refuse to acknowledge there are systems and structures, institutions that were set up to benefit whites over blacks, and we refuse to acknowledge that, we can never rectify it. So we need to be honest about that and we need to identify: what are those institutions? What are those organizations that are set up to privilege whites over blacks? And let's address that, so that that disparity can be done away with. Scott Rae: Again, I think that's a very helpful nuancing of this. Let me ask one follow-up question on this. How much of this would you say is, would you say more socioeconomic based, as opposed to strictly race based? I know that's a big point of discussion in this whole subject. Chris Brooks: Yeah, I love what you're saying. And here's one of the ways that we can think about this, is that you and I and others, we all have certain amounts of social capital. Now, your social capital will be the network of relationships you have, the doors that are open to you because of your education and because of your income, right? Those aren't even across the board. Some of us have more social capital than others. So what we have to recognize is that people who have little amounts of social capital in this country are easily exploited and easily mistreated. Now a lot of times, that is synonymous with race, but not all the time. Our dear brother, Anthony Bradley, over at the King’s College, I think is doing a great job in highlighting the pain and suffering of poor whites in this country. And we need to make sure we're aware of that, even in the evangelical church. I'll give you one example. When it comes to church planning, when was the last time you heard someone say, "I want to plant churches. I want to start a church funding movement in poor white communities. I want to go to trailer parks and start a church planning movement there"? We just don't do that, right? And so I think that in a lot of ways, because of the way that we've looked at poverty and poor people, we have devalued them and we've seen them as either being cursed, or we've seen them as only mouths that consume, instead of minds that create. So classism does play a big role in this. Scott Rae: Yeah. I think that's a really good observation. I have yet to hear someone talk about how they want to do church planting in rural Appalachia, for example. Chris Brooks: Yeah. It just doesn't happen. Scott Rae: Yeah. Tell me, one other, I'm curious to get your take on one other current issue that's very controversial. And that is, when the National Anthem's played before NFL games, and the different players that are either kneeling or making other protest gestures, what's your take on the players who are doing that? Chris Brooks: Man, this is unfortunately an issue that has lost its original intent, and it has been so convoluted that it's hard to talk about it without politicizing it. But let me just say, I think in its original form, what it was designed to be was the most respectful way of being able to communicate and bring attention to issues that minority communities live under. I want to just say this really quickly, Scott, and I think this is important. Far more concerning to me and to many than the individual incidences we hear of an unarmed black man being shot, and we can just go down the line from Eric Garner to the 12 year-old, Tamir Rice, and so many others, right, is the culture of racism that exists in a number of police departments. In 2015 and '16, the Department of Justice, along with the FBI, released a report that named over a dozen major police departments across this country that had documented patterns of abusing or routinely violating the civil rights of blacks, or a culture of racism. When you have departments that are exchanging emails that are saying derogatory things about blacks, perpetuating negative stereotypes, condoning the abuse or profiling or the violation of civil rights. When you have departments doing this, you've got a really, really major issue that has to be dealt with head-on. Now, it's easy if you're not living in these communities to say, "Well that's a non-issue." It's easy to say, "Well you're just coming against cops." That really was not the original intent of this. It was to say, "Not all cops are bad, but all bad cops are bad, and all bad cops are doing a lot of harm to the good cops' reputation. Let's deal with this seriously as a nation head on." Unfortunately, I can't tell you of any type of protest that blacks have done throughout history that has been embraced by the broader white community. You know, let me just give you two examples of that. In May of 1961, the Freedom Riders, that many of your listeners may remember, these were young black and white youth who rode across the country to promote voting rights. Eventually, their van was bombed and they died, several of them died. But in May of 1961, the country was asked, "Do you believe that the Freedom Riders, do you approve" ... I'm sorry. "Do you approve or disapprove of the Freedom Riders and what they're doing?" 61% of America said they disapproved of this group that simply was committed to promoting voting rights of blacks. Let's look at another example. This is the example of sit-ins, where, as you remember, during the Civil Rights, one of the strategies that was used was that blacks would go into white only diners and sit at counters to request service. When asked whether or not they felt this issue was a good approach or a bad approach, 57% of Americans said they thought it was a bad approach. What this says to blacks is it really doesn't matter what we do, it's gonna be criticized. Whether it is gathering together in the streets, or it is simply quietly kneeling during the Anthem, or if it's sitting at a counter, or if it's doing freedom rides, or if it's just Tweeting. No matter what we do, the message we feel we get often from broader white America is, "Stay in your place. Don't complain." And I think that is the fundamental concern with many African Americans, is what is then the right way to protest? What type of protest will be applauded and accepted? I don't think there is one. Scott Rae: Including what current NFL players are doing. Chris Brooks: Yeah, including what current NFL players are doing. Now, whether or not a person protests in that way or not, I think is a matter of conscience. I think there's obviously a recognition that we need to, as Americans, affirm the commitment we have to this country, and I would encourage that. But in the same way, I recognize that what these players are trying to do is to say, "I want to use the privilege and platform that I've been given to be able to bring awareness to issues that aren't maybe affecting me." Most of them are gonna be insulated from a lot of these things. Not all of them. But they're trying to bring attention to that. I do understand those who have soldiers in their families who have laid down their lives. And I think, again, some way, we have to stop pitting one another against each other, and we need transcendent leaders in this moment who are gonna say, "Let's bring together those who are concerned on both ends, and let's have dialogue about how we can rectify this." I would have loved to have seen someone bring Colin Kapernick into a room with some veterans and some family members of fallen soldiers to say, "Okay, how do we hear one another's concerns, so that we can emerge from this in a way that unites us and doesn't further divide us?" Scott Rae: I haven't heard of anybody suggesting that so far. Thank you, Chris. That's really helpful. Sean, I know this winter, you're gonna bring a group of high school students down to downtown LA to meet with Black Lives Matter groups. Tell Chris a little bit about that. I know you've got a question or two for him about that. Sean McDowell: Yeah, Chris, just thinking through, kind of in my own work at Biola and with high school students separately, I'm trying to think through what are some practical things we can do, number one, to educate young people, number two, to just advance the ball to make a difference. So we're going into LA for a couple days. We're gonna stay at a church down there, and we're just gonna go meet with a variety of different groups. We're gonna meet with pastors. We're gonna meet with the Black Lives Matters groups. We're gonna talk with different races, bring in speakers, and the whole goal is just to listen and to learn. And I'm curious, number one with high school students, do you think this is a good idea? Would you give us any advice or suggestions or thoughts as we kind of venture out, trying something new for us, which is kind of unchartered territory, so to speak? Chris Brooks: Yeah, so I would just say two things. Number one, bravo to you. I think we shouldn't be afraid of engaging the world around us, the culture around us. I know you're not, either of you, and I think we need to train a generation of young people who are, what Dr. King called tough-minded and tender-hearted--the ttype of Christians who can think critically and live compassionately. We don't do them any service if we just shield them from these conversations. We have to believe that the Gospel is big enough to take on the toughest questions and the toughest critics and be able to transform the human heart. With that being said, I would definitely make sure that you spend time with them looking at the mission statements of the groups that you're gonna go visit, so that they can have dialogue and thought, not only about the practical ways that these organizations are expressing themselves, but what are they saying in their mission statements? How do they express what their aim is, what their goal is, their vision for the organization? Then secondly, I would encourage them, for example with Black Lives Matter, to look at the issues that they're championing. One of the things that most people have never looked at with Black Lives Matter is the Zero Campaign. Now, the Zero Campaign gives 10 issues that they're asking for. For example, independently investigating and prosecuting police who are viewed as being repeat violators. Having a special prosecutor. Like what we do in government when we have to look outside of the normal prosecutorial processes. Limited force, community representation, body cameras from police--most of the things that they're asking for, we would readily affirm. I think sometimes because of the characterization of groups, we just wholesale ignore what they're saying or resist what they're saying, when some things that they're communicating are things that, again, all of us want in our communities and we would affirm. So I would say do your research, understand what their mission statements are, and then have the post dialogue after you've talked to them, after you've heard them, of how does this then equate to the Gospel, or how does this relate to the Gospel, making sure you filter everything through the biblical worldview. I think that if you do that, those young people will be more enlightened and more effective in their Christian witness. Sean McDowell: Thanks for weighing in, Chris. Scott Rae: Yeah, Chris. Thank you so much. This has been incredibly insightful for us. I appreciate your willingness to speak to a whole host of issues that are viewed pretty controversially in our culture today. So thank you very much for your time with us. We wish you all the best in the numerous responsibilities that you have as pastor, radio host, dean, and as dad and husband. As you continue to live faithfully for Christ and proclaim the Gospel in your community. So Chris, we're delighted to have you with us. Thanks for being with us. Chris Brooks: Thank you guys, and let's continue to strive for again what Jesus prayed for in John 17, and that is the oneness and unity of the body across race and ethnicity and across class. And as we do that, I believe we'll be a more effective witness to a watching and weary world. God bless you guys.